Today's red post collection includes Meddler's quick gameplay thoughts for October 5th, details on the 2018 All-Star event, and more! We'll also be putting a chat notification of the OMW ping being used back in team chat. Looks like that got accidentally broken at some point when this approach was being developed. Since we added both adaptive damage and adaptive stats to the pre-game with Runes the question's naturally been raised as to why we're not using them in game as well. Things like why not have items just grant Adaptive AP/AD so more champs can use them, or having damage on champ abilities or from items change types to be more optimal all the time. Some thoughts on why we haven't been doing that below. By which we mean damage that can change its type. Easy example being Arcane Comet, which deals magic damage when you're building AP and physical damage when you're building AD. With Runes we were almost always aiming to design effects that could be added on to any damage pattern. Offering the damage type that would make sense with the sort of pen you were likely to build was more appropriate as a result. 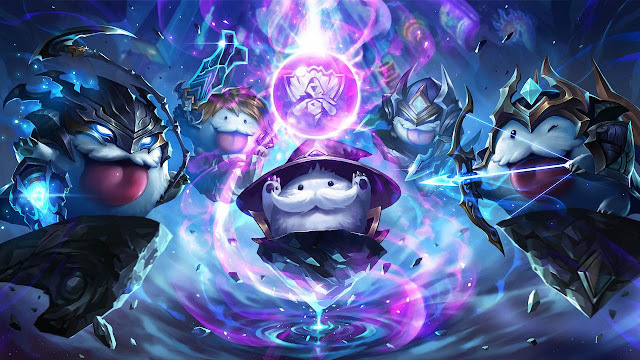 That also means it's easier to pick defensive options against a specific champion, since their pregame damage contributions will generally be matching their kit damage type. For in game effects by contrast our concern is that adaptive damage makes it much harder to predict what sort of damage you'll be facing and therefore purchase/play against it. LoL's got a lot of champ abilities and other damage sources already to understand/track, so making it so you also need to assess someone's build all the time to understand whether an ability has flipped damage type is something we generally want to avoid. Possible we might make the occasional exception, especially if it's a strong fit with a champion's theme and really well communicated through art/audio etc, but even then would expect it to be a rare thing if done at all. As in stats that just give you whichever you scale best with of AP/AD/whatever. Again with Runes we wanted things to be really open, particularly to avoid having to make additional runes that were basically just duplicates with different scaling. With items by contrast there are quite a lot of cases where limiting the pool of users can be really important, particularly from a game health perspective. Which stats an item offers is a really good way to skew its value towards different users it's intended to serve well (e.g. pushing Zhonya's towards primarily mages and other heavy AP users, or skewing Black Cleaver towards health so we can keep it in a good spot for juggernauts and other tankier fighters). Additionally items changing which stats they offer also contributes to difficulty understanding and reacting to enemy damage output, especially if it flips back and forth during the game. We've been very hesitant about adaptive stats in game as a result, given the degree to which that would privilege offense over defense, unless making defensive stats adaptive as well. There are some cases where it might be a useful tool (e.g. opening up the Spellthief's line to AD users). Possible we do use it a bit in circumstances like that at some point, also might just solve the issue in other ways though (offering other power rather than AD or AP specifically)." "Ah, thank you. I'm feeling daft for forgetting I'd talked about her that recently. I don't think we'll do any work on her for a while, but whenever we do next work on her for anything other than minor balance tweaks would expect skill curve assessment to be part of that." "Lissandra - no, won't be this cycle. My apologies this is taking so long, in retrospect I should have handed it off to someone else when I took on my new role. Currently working on revised visual effects for the statues, they're getting lost too much in team fights which means it's hard to appreciate their value as Lissandra or play around them as enemies. Also looking at whether or not they're currently contributing enough even when spotted, hard to disentangle the two issues at times though. New champs - there's always a new champ getting closer. In terms of helpful details, no, I'll leave the teasing of those to the champion team." "Got those pretty high right now. Some of the issue is that they're often just not in relevant positions (team fight moved, no other enemies around etc). Some of it seems to be that they are contributing, but it's not getting well noticed, hence the focus on clarity first, then possible mechanics changes." "These are all relative to other marksmen. Low AOE damage against champions"
"We'll see how Ezreal lands, in particular what the response from players is like in terms of feedback, engagement etc, before hard committing to more like this. Blitzcrank's the champ who comes to mind for me as a strong candidate, that's just personal opinion though, we haven't come to a consensus yet." "Would expect DH nerfs to have a noticeable impact on MF, particularly on the somewhat degenerate 'one shot' builds. We'll see where she lands after the change, she's performing ok with some other keystones too, but DH makes up most of her playrate. Leona's in a stable spot in our eyes." "Backing off on Kass nerfs for now. We've been seeing his impact drop a bit, so he's not looking too out of line. Suspect might still do some at some point, but at the very least won't be prioritizing them over other work right now." "We are considering lethality/mpen. We consider a lot of different stats, weighing up the pros and cons of each stat. 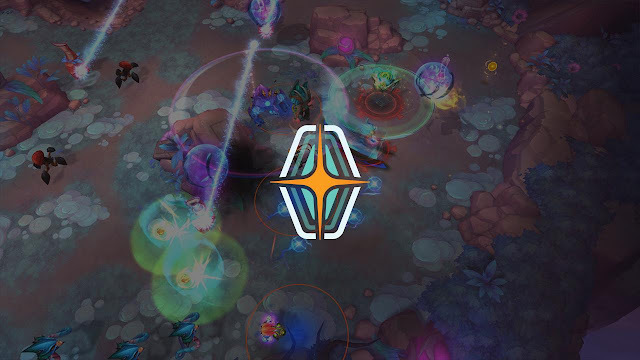 Whilst I do like the idea of lethality and magic pen existing as a pre-game option, we have to keep in mind that for a large number of our players, knowing when to choose between AP and Mpen is a pretty complex (or impossible) choice. Lethality is still on the table. Anything can change between now and when pre-season drops. 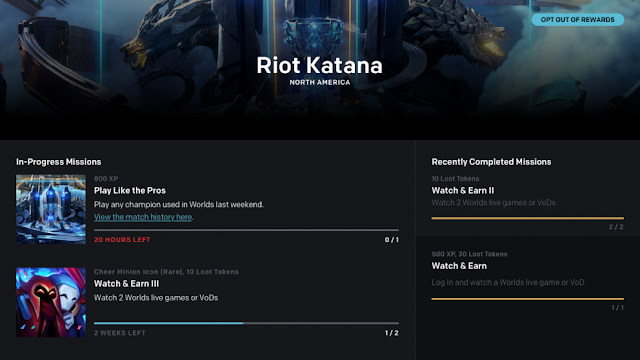 :)"
"We listened to feedback from pros and fans, and this December we’re bringing back the All-Star Event in a new format with an emphasis on celebrating the things that fans love about League: the game, the competition, and the community. Get ready for All-Star 2018, an esports event experience like no other. 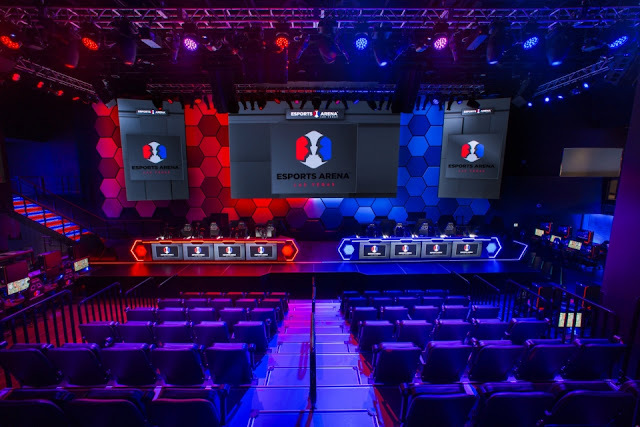 We’re excited to host the 2018 All-Star Event at the Esports Arena in Las Vegas. This venue allows us to offer a unique broadcast and live show as compared to our NA LCS studio shows, while still providing a more intimate in-person experience. It also gives us an opportunity to provide the attending All-Stars with an awesome Las Vegas experience to celebrate the end of their competitive year. All-Star will take place on December 6-8 and ticket sales information will be published in the next few weeks. 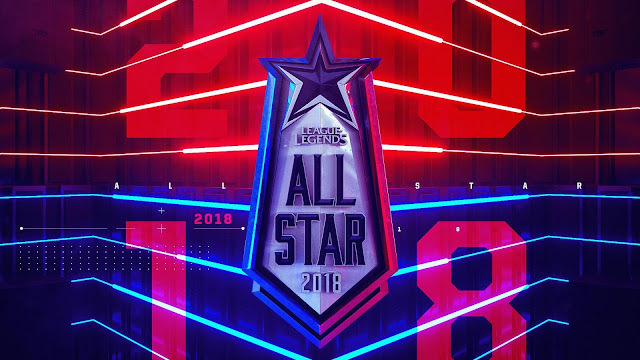 We’ve packed a ton of action into just three days to ensure that every minute of All-Star is entertaining and filled with can’t-miss moments, while providing minimal disruption to our All-Star’s off-seasons. Check out a preview of what’s in store below. We want All-Star to be an event for the entire League community, so in addition to the All-Star pros we’ll be inviting a few select members of the League Partner Program from each region. These could be some of your favorite streamers, cosplayers, content creators, and more. The full roster of partners who will be participating in All-Star will be announced shortly before the start of the event. Based on this year’s participants and format, we think All-Star 2018 be our best All-Star Event ever. We’re excited for League fans around the world to tune in and celebrate an amazing year in League and League esports. It’s bound to be full of surprises including a few sneak peeks and spotlights of new League content. Fans will see what the pros can do with a colorful and curious new addition to the rift, get an early look at what this year’s Snowdown has in store, and more. Stay tuned for more details." Hope you enjoyed some Clash games this week! Many thanks to everyone who participated in this 3-day test! We will be expanding the scope of our test efforts with upcoming Regional tests. Stay tuned for more details next week on when and how you can get involved! 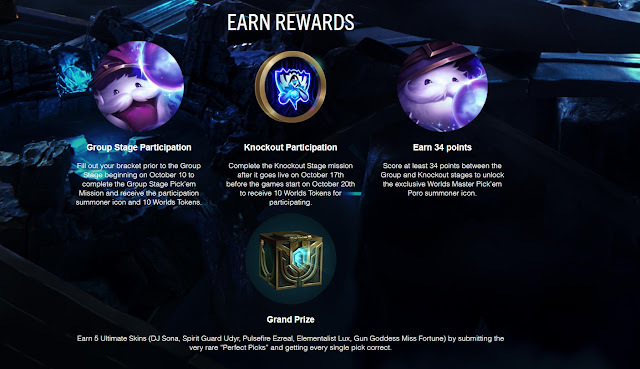 Worlds Pick'em is now open! Make sure to LOCK YOUR PICKS for Group Stages by October 10th! Check out the article for full details on dates, prizes, and more!